On 2nd April, Upwork made an announcement that will change how freelancers and clients use the platform. The company is introducing a new pricing system for Connects, the virtual currency freelancers need to apply for jobs. Previously, Upwork took a percentage of your earnings if you landed a job. Now, you need to pay to apply for a job you might not get. Is this new system a good way of weeding out unsuitable candidates, or the final straw for freelancers who are already fed up with Upwork’s fees? The response to this announcement has been mixed, but will definitely make a huge impact on everyone who uses Upwork. Upwork works on a system of Connects- virtual tokens that freelancers use to apply for jobs. Every freelancer currently receives sixty Connects a month with the option to buy more if needed, and each job application costs two Connects. Upwork’s new policy means that no-one gets free Connects; they have to be bought for $0.15 each. You have to buy them in bundles of ten and there’s no discount for buying them in bulk. The price of a job application is relative to the length and price of the work. 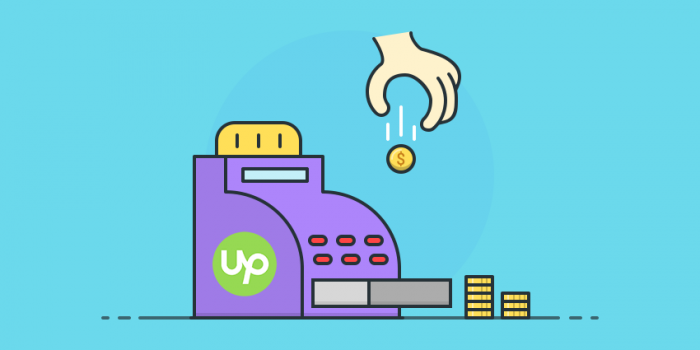 A few cents for a $500 job might not seem like much, but you have to remember that this is on top of Upwork’s 10% cut of your profits. As you might imagine, a lot of freelancers aren’t too happy about this news. Many believe this will deter new and less experienced freelancers to join the platform, because they don’t want to waste money on a job they probably won’t get. This is actually part of the reason why Upwork are implementing this strategy. Right now, many clients are swamped with dozens of applications for every job they post; the idea behind paid Connects is that fewer people will apply. For this reason, a lot of clients are welcoming the change. They’re sick of sifting through sub-par proposals and hope they’ll be able to hire faster and work with more qualified freelancers. The thing is, a lot of freelancers become qualified through experience they gain on Upwork. Where will they build their experience now? A lot of people are predicting that Upwork will lose a lot of freelance users because of this change. Those who stay are likely to increase their fees to cover the new costs, which clients won’t appreciate. Any freelancer who uses Upwork will be familiar with job postings that pay very little. Until now, these jobs were often snapped up by people from India or the Phillipines, who collectively make up more than 25% of the site’s freelancers. Freelancers from these areas were more willing to work for low prices, and a lot of Upwork jobs pay very low rates because of this. The new Connects system might cause these freelancers to move to another platform, or clients might be forced to pay higher rates as freelancers refuse to pay $0.15 to apply for a $2 job. This is a turning point in Upwork, but will it cause them to skyrocket, or is it the opportunity for a competitor to become the new face of the freelance marketplace?